I grew up in the suburbs of southeast Michigan in a middle-class family. My father is an engineer at General Motors, and my mother is a Catholic school administrator in my hometown. My family worked hard and sacrificed much to enroll me in a private Catholic elementary school in a small town in Michigan. I thought I wanted to be a doctor in 5th grade based on my love of science and the idea of wanting to help others despite no extended family members involved in medicine. Winning a science fair project about the circulatory system in 6th grade really piqued my interest in the field. Throughout high school, I took several science courses that again reinforced my interest and enthusiasm towards the field of medicine. I then enrolled at Saint Louis University to advance my training for a total of eight years of intense education, including undergraduate and medical school. The goal was to prepare myself to take care of sick patients and to save the lives of others (four years of undergraduate premedical studies and four years of medical school). After graduation from medical school at age 26, I then pursued training in Internal Medicine at the University of Michigan, which was a three year program where I learned to manage complex problems associated with internal organs, including the heart, lungs, gastrointestinal tract, kidneys and others. I then went on to pursue an additional three years of specialty medical training (fellowship) in the field of gastroenterology. The completion of that program culminated 14 years of post-high school education. It was from that point, at the tender age of 32 and searching for my first job, that I could say that my career in medicine began. For me, it began in college, taking rigorous pre-medical courses against a large yearly burden of tuition: $27,000 of debt yearly for four years. I was one of the fortunate ones. Because I excelled in a competitive academic environment in high school and was able to maintain a position in the top tier of my class, I obtained an academic scholarship, covering 70% of this tuition. I was fortunate to have graduated from college with “only” $25,000 in student debt. Two weeks after finishing my undergraduate education, I began medical school. After including books, various exams that would typically cost $1000-$3000 per test, and medical school tuition, my yearly education costs amounted to $45,000 per year. Unlike most other fields of study, the demands of medical school education, with daytime classes and night time studying, make it nearly impossible to hold down an extra source of income. I spent an additional $5000 in my final year for application fees and interview travel as I sought a residency position in Internal Medicine. After being “matched” into a residency position in Michigan, I took out yet another $10,000 loan to relocate and pay for my final expenses in medical school, as moving expenses are not paid for by training programs. At that point, with medical school completed, I was only halfway through my journey to becoming a doctor. I recall a moment then, sitting with a group of students in a room with a financial advisor who was saying something about how to consolidate loans. I stared meekly at numbers on a piece of paper listing what I owed for the 2 degrees that I had earned, knowing full well that I didn’t yet have the ability to earn a dime. I didn’t know whether to cry at the number or be happy that mine was lower than most of my friends. My number was $196,000. $196,000. That was the bill, for the tuition, the tests, the books, the late night pizza. $196,000 financed through a combination of student loans, personal loans, and high-interest credit cards, now consolidated, amalgamated, homogenized into one life-defining number for my personal convenience. Relatives and friends often ask me, “now that you are a ‘real’ doctor, aren’t you making the big bucks?” While I am fortunate to now be making a higher salary, some basics of finance make my salary significantly less than meets the eye (very in-depth article on how this is so). First, I was 32 years old as I began training, and I now had over $230,000 in debt. Had I invested my talents in other pursuits such as law school, I would not have built up this level of debt. Also, as I did not start saving when I was younger, financially speaking, I have lost the past ten years without the ability to save and invest to earn compounding interest. In addition, as physicians, though we make more money than many others, we are not reimbursed for many of the services that we provide. Now that you see this additional aspect of our career, you may think that we have a tough job to tackle several tasks at once, demanding much versatility. You may think someone needs a great work ethic to do what we do. You must think that not only do we have to know science extremely well, we also have to know other areas such as writing, history, math, even law given the multiple calculations we go through in our heads on a daily basis and conversations we have with families. And finally, you must think we know finance, as we have to try balance a $230,000 loan while making $50,000 at age 30. 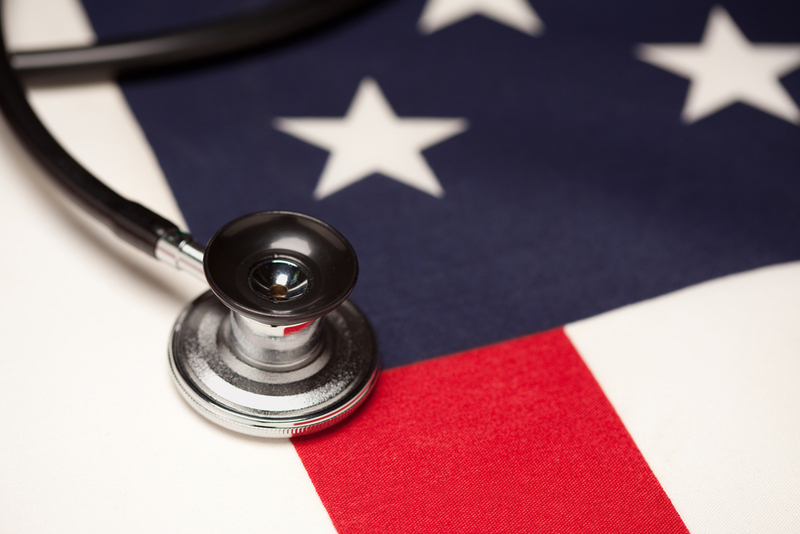 Unfortunately, we physicians do not have much of a voice on Capitol Hill. There are not enough doctors in Washington D.C. who can give the insight of this letter while you in Washington, D.C. discuss health care reform. You may hear from leaders of the American Medical Association, but these are not the doctors on the front lines. These are the older political voices who were physicians when the times were different, when doctors did get reimbursed fairly for their work, when student loan debt was not this high, and when lawsuits were less prevalent. Many of the loudest voices in the healthcare debate are those of lawyers and lobbyists for special interests. They do not care about the well-being of patients; that is what doctors do. I want to make it clear that this letter is not just another story about the difficulties of becoming a doctor and being successful in medicine. I do not want you to think I am complaining about how hard my life is and used to be. In fact, I love my job, and there is no other field I would ever imagine myself doing. My true wish is to illustrate the sacrifices doctors do make because I feel we are not represented when laws are made. These sacrifices include a lack of quality family time, our large student loan debt, the age at which we can practically start saving for retirement, and the pressure we face with lawyers watching every move we make. Yet we make these sacrifices gladly for the good of our patients. I want to challenge our leaders to address the points I have made in this letter, keeping in mind that this is an honest firsthand account of the personal life of a newly practicing physician. It is a letter that speaks for almost all physicians in America and our struggles in our arduous yet personally rewarding life. It is not just a letter of my own journey, but one that represents most physicians’ path on our way to caring for America’s sick. Matthew Moeller is a gastroenteroloigst. This article originally appeared in CaduceusBlog.